Talking About Health; Why Health Communication Matters » How does Bret Michaels manage life-on-the-road and Type I diabetes? 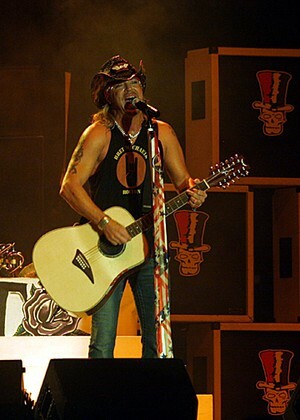 How does Bret Michaels manage life-on-the-road and Type I diabetes? As covered in the news and entertainment media, Bret had some life-threatening health events this year. He appeared on the show, ‘Celebrity Apprentice’ and, in fact, won… but during the season, he revealed his nearly lifelong efforts to manage diabetes. And he talked about the emotions he felt while waiting for news about whether his daughter had the disease. I don’t know Bret or his daughter. But I do know that one of the reasons we don’t talk about health in our families is that we feel a sense of blame for the ‘bad’ things that got passed on to us through our genetic pool and a sense of responsibility about passing them along to our own biological children. Try this: for every so called bad thing, make a list of the good things that were passed on to us and that we may pass on to others. When having those family health history conversations, balance the good with the not so good news. « Do you know what condition is linked to a bull’s eye rash? This entry was posted on Monday, August 9th, 2010 at 10:20 am	and is filed under Health identities. You can follow any responses to this entry through the RSS 2.0 feed. You can leave a response, or trackback from your own site.